The best Mother’s Day present EVER! This Sunday is Mother’s Day. (See, I’m already giving you valuable, possibly life-saving information!) 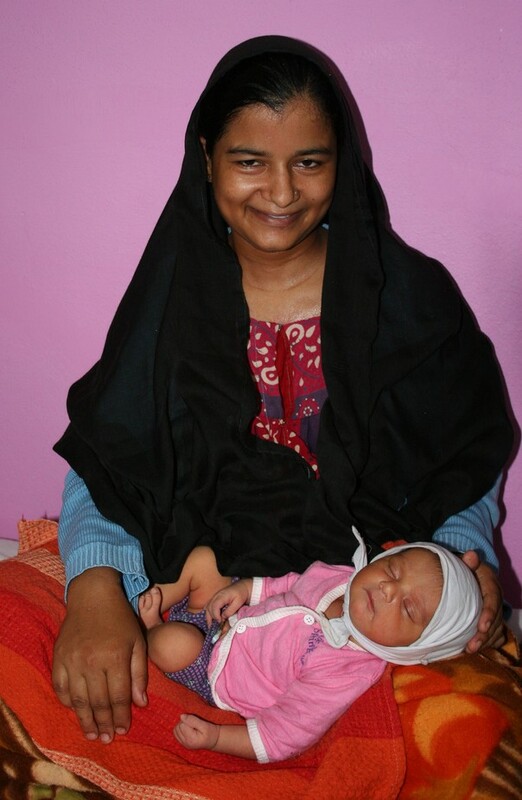 But instead of trotting out the usual flowers, candy-grams, and scented candles, why not give your mom (or any mom) the amazing $40 gift of a safe birth for an Indian woman at a LifeSpring Hospital? What a joyful way to celebrate motherhood!! Despite its great strides in development, India has one of the highest maternal mortality rates in the world: 16 times that of Russia, and 10 times greater than China. 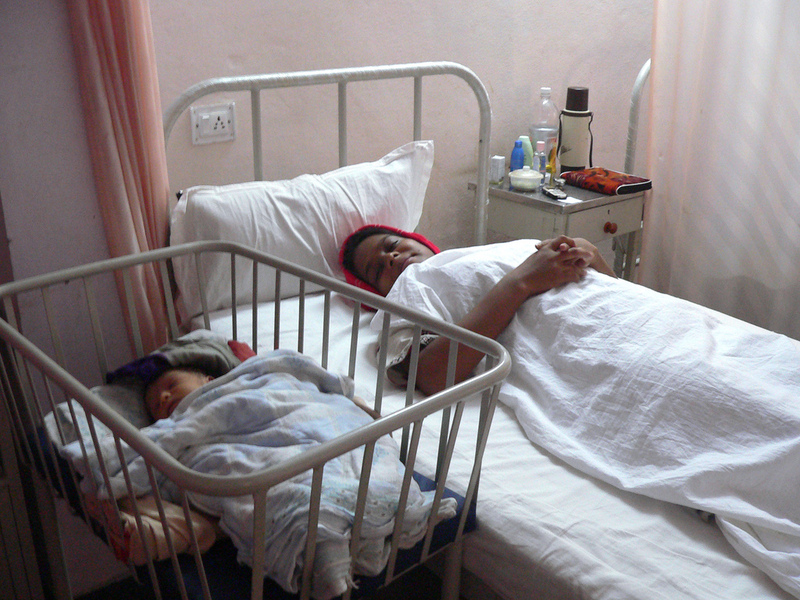 There is excellent high-priced care at private hospitals, which few can afford, or rather dismal care at often-inaccessible public hospitals– so 57% of Indian women deliver their babies without a skilled attendant. And more than 100,00 of them die every year from pregnancy-related causes, despite 75% of maternal deaths being entirely preventable. LifeSpring offers a desperately-needed alternative. A joint venture of Acumen Fund and Hindustan Latex Limited, LifeSpring’s model of building small, 20-25-bed Maternity and Child Healthcare hospitals for low and lower-middle income people in southern India has proven enormously popular. At LifeSpring Hospitals, women give birth under a private doctor’s supervision in a safe environment with full medical care, at a fee of $40 for a normal birth, or $140 for a c-section – a rate just 30-50% of prevailing market rates. 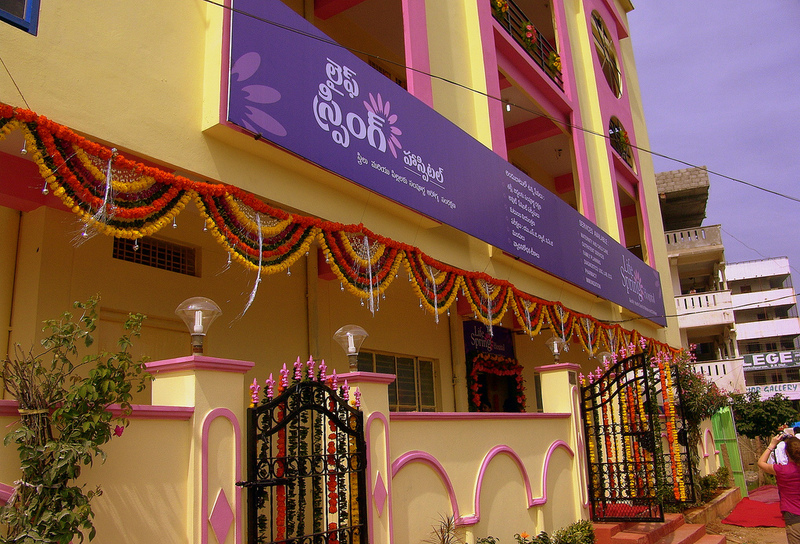 The first LifeSpring Hospital opened on the outskirts of Hyderabad in December, 2005 and has grown into one of the largest maternity care hospitals in South India, with plans to expand across the country. The hospitals are no-frills, clean and cheerful, achieving significantly better outcomes by specializing exclusively in women’s and child health, and creating lots of volume. Its community marketing programs attract the wives of rickshaw drivers, bricklayers, and people with little or no education, using door-to-door visits, monthly women’s health awareness clinics, and free prenatal examinations. But its best marketing comes from word-of-mouth testimonies to the respect, friendliness, and medical competence offered by LifeSpring staff. A satisfied LifeSpring customer.. actually, two. Unfortunately, not every woman who is expecting can afford to pay $40 to deliver her baby safely in a LifeSpring hospital. So this for-profit venture is offering Sponsoring Birth, which is your Fabulous Mother’s Day Opportunity to help moms among the poorest of the poor deliver safely & happily! p.s. Great article in The Economist on how enterprises like LifeSpring can teach our rich, bloated health-care systems a thing or two about efficiency and quality. this does not show what the best presents are ??? It’s to give to the charity I mentioned… thanks for the comment! Unfortunately I don’t have the stats, but right here at home where we have the “best medical system in the world!” the infant mortality rate and maternal mortality rate – especially in communities of color – are higher than those in all other developed countries.